Two skiers were rescued Sunday, March 4, after they went outside the boundary line at Heavenly Mountain Resort. Two skiers were rescued Sunday after going outside the boundary line and getting caught in deep powder at Heavenly Mountain Resort. It was the second time in less than two weeks that visitors at Heavenly had to be rescued after going outside a boundary line. The skiers called for help around 5:30 p.m. Sunday, March 4, just a day after a winter storm had finished dumping 4 ½ feet of snow at Heavenly in 48 hours. After going outside the boundary line, they encountered deep snow and became stuck, according to Sgt. Anthony Prencipe with the El Dorado County Sheriff’s Office. After the call came in it took about two hours for search and rescue team members to find the skiers. Prencipe did not know the identity of the skiers, where they’re from or if anyone was injured, although he said nobody involved in the incident was transported to a hospital. On Feb. 22, two skiers were reported lost near Mott Canyon. Search and rescue personnel eventually located the skiers but the weather conditions made it impossible for air extraction. 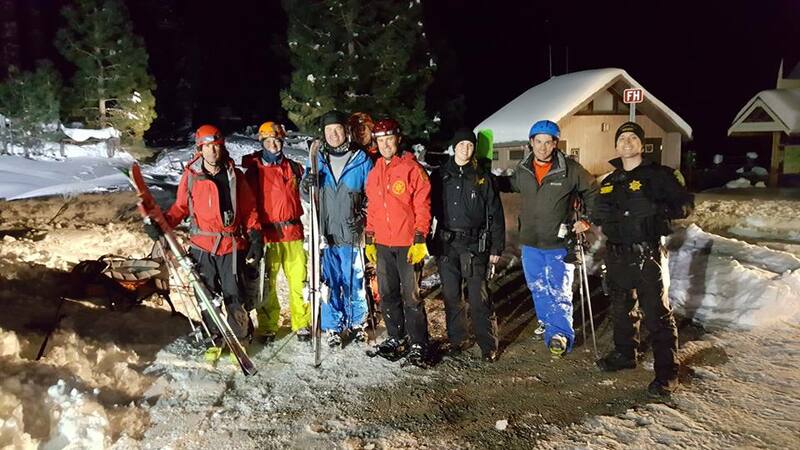 Rescuers ended up spending the night with skiers before a Blackhawk helicopter came to the rescue the next morning. The skiers had gone outside the posted boundary line at Heavenly.